Premiere: November, 14th 2017. 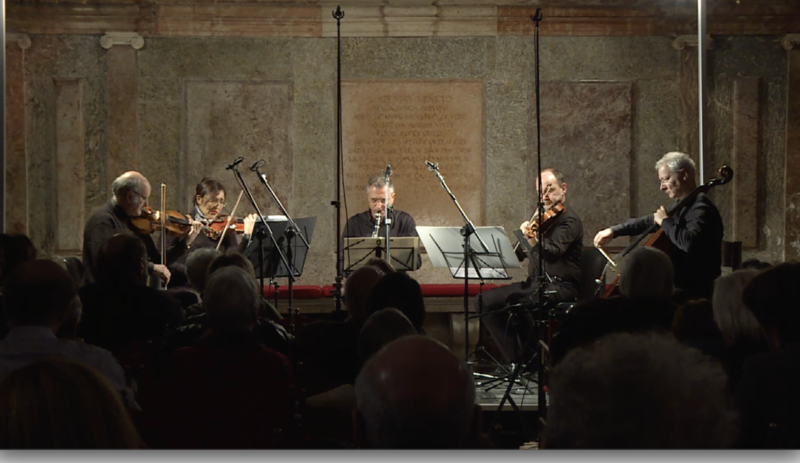 Ateneo Veneto, Aula Magna, Venice (IT) – Ex Novo Ensemble. XIV Ex Novo Musica, SIAE – Classici di Oggi. Program notes: (ENG) Giovanni Albini’s Quintetto Op. 53 displays the distinguishing poetics of the composer: simple traditional musical objects and a meticulous study of the mathematical structures and combinatorial mechanisms they hide, with the aim to unlock hidden features of their expressive potential. More specifically, it focuses on the one hundred and one possible diatonic chords of three notes spanning two octaves. The sternness of structural constraints becomes the material in which to look for unexpected shapes of beauty. Track and picture info: Live recording of the premiere in Venice.